A grand ceremony was held Thursday morning in Lhasa, the capital city of southwest China's Tibet Autonomous Region, to celebrate the 60th anniversary of the region's democratic reform. China's State Council Information Office on Wednesday issued a white paper on the democratic reform and economic development in Tibet over the past six decades. The central government of China has always prioritized the improvement of the economy and people's livelihood in the Tibet Autonomous Region when it comes to the area's development. China issued a white paper on democratic reform and the leap of development in Tibet over the past six decades on Wednesday. The Belt and Road Initiative provides great opportunities for the future development of Tibet. China on Tuesday expressed firm opposition to a Tibet-related act by the United States, calling it an act of interference in China's internal affairs. Tibet is undergoing incredible changes – especially in its schools. China's been overhauling education in Tibet, saying it wants to improve the chances of the region's 600,000 students. Part of that approach means moving kids from rural villages to bigger cities. Over the past six decades, Tibet's medical sector has grown, with the CPC Central Committee initiating programs to bring in doctors from across the country. CGTN's Omar Khan went to the city of Linzhi, where medical practitioners from Guangdong Province are not only providing medical care but are also training local Tibetan doctors. Tibet has built a new type of socialist ethnic relationship featuring equality, solidarity, mutual assistance and harmony since its democratic reform 60 years ago. 2019 marks the 60th anniversary of the democratic reform in Tibet. In that time, the autonomous region has drastically reduced poverty. Apart from benefiting from favorable policies issued by the central government, the autonomous region identified its competitive advantages and has taken the path towards sustainable development. With surging rivers, scattered rocks and rugged mountain paths, backward transportation had seriously hindered communication between Tibet and the other provinces in China. Tibet, a southwestern Chinese autonomous region on the Qinghai-Tibet Plateau known as the roof of the world is not just about the stunning views but the most likable culture you will ever encounter. China hopes traveling to Tibet Autonomous Region may soon become a lot easier. Massive infrastructure projects launched within the past decade are now nearing completion. But the work is extremely slow and dangerous. Visiting famous monasteries and temples would be an indispensable part of your unforgettable tour in Tibet Autonomous Region, southwest China. Numerous Tibetan monasteries and temples basically serve as Buddhist academies and make a great difference on authentic Tibetan culture. 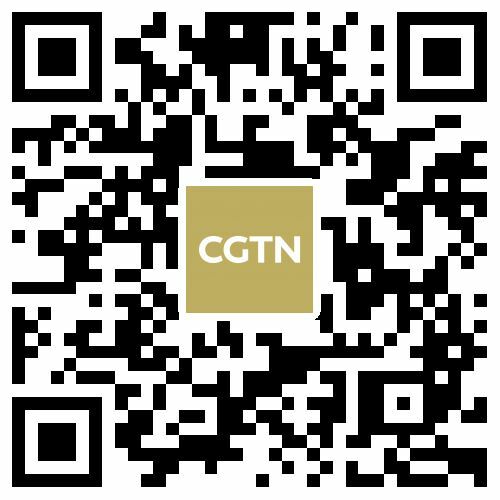 Follow CGTN to make the most of your temple tour in Tibet and soak up the religious belief. In southwest China's Tibet Autonomous Region, the world-renowned Potala Palace has just received a facelift. A restoration, which lasted for several months, has focused on the golden rooftops of the imposing palace complex. This year is the 60th anniversary of the Resolution to implement democratic reforms in Tibet adopted by the Preparatory Committee of the Tibet Autonomous Region. Six decades ago, the world's highest plateau was a wild, unexplored area. Now, it has undergone a period of social, political, and economic liberalization. Let's take a look at the changes that have taken place. Long gone is the mass poaching of the Tibetan antelopes, but the species face new threats. For centuries, Tibet has not been explored as much by the outside world due to its remote location, extreme climate and geographic environment. Since the initial launch of the Qinghai-Tibet Railway in 2006, this railway has become the most popular and convenient way to connect Tibet to the rest of China, and has brought tremendous profits to the regions. The realistic, ideological, lobbyist, domestic political and individual perspectives that different constituents of Western society hold towards the "Tibet issue" contribute to its propagation and survival, making it one of the most complicated issues in international politics. Hand weaving is an ancient craft practiced for generations in central and southern Tibet Autonomous Region. Traditional colors and hand weaving techniques combine to create vibrant clothes in this region. ‍Tibetan medicinal bathing, or Lum medicinal bathing of Sowa Rigpa (Tibetan medicine), is the knowledge and practices concerning life and illness treatments among those residing in Tibetan areas. It was added to the Representative List of the Intangible Cultural Heritage of Humanity by the U.N. Educational, Scientific and Cultural Organization (UNESCO) in November 2018. China's door to the outside world will open even wider, so will Tibet and Tibetan areas in other provinces. During 60 years of democratic reforms, people in China's Tibet Autonomous Region have enjoyed better medical and health services. How can Tibet ensure sustainable development? In order to promote long-term stability and development in Tibet, China needs to enable Tibet to create growth by itself while providing aid and improving its development sustainability in the following aspects. In old Tibet, people were divided into unequal levels by the old codes which have been used for hundreds of years. At that time, women were classified as low-level people, with few rights. Since I moved here in 2018, I've treated over 1,000 osteoarthritis patients, said Jiang Li, a rehabilitation specialist from the Third Affiliated Hospital of Sun Yat-sen University in Guangzhou, south China's Guangdong Province. Tibet set up its first school providing modern education in March 1951. Nyima Yangchen could have been an ordinary Tibetan shepherd, but snowboarding has changed the fate of the 17-year-old. Most forests in Tibet Autonomous Region grow in the eastern regions, like Nyingchi and Qamdo, where the altitude is comparatively lower. The forest can hardly be seen at the altitude above 4,500 meters. The woody plant Tibetan juniper growing at the altitude of 2,600-4,800 meters may mark the highest elevation treeline in the world. In recent years, the government of southwest China's Tibet Autonomous Region has put great emphasis on improving social welfare, especially in education, bringing more benefits to its residents. The first batch of 10 intangible cultural heritage workshops opened on March 16 in Nyemo County, southwest China's Tibet Autonomous Region. Located on the north shore of Yarlung Zangbo River in southwest China’s Tibet Autonomous Region, Toinba township, Nyemo County is the hometown of Tibetan incense. “Going back home” and reuniting with the family during the Spring Festival is a core value in Chinese culture. Most Chinese will put everything down and head back home at this time of the year. While many have been preparing for the Spring Festival on the plateau in southwest China's Tibet, people are looking forward to their biggest festival as well. The Tibetan New Year, also known as Losar, is the most important festival on the Tibetan calendar. The three-day event starts on February 5 this year, heralding the Tibetan Year of the Pig. The tradition not only brings together locals for family reunions but presents an opportunity for them to become immersed in ancient cultures. This is true for Tenzin Ngodup, a young Tibetan man.